RICH DICLAUDIO: The science and innovation is the science of abandonment and pursuing opportunities out of chaos. Thant’s basically what happened here. CHARLIE SHLIEBS: This is kind of a living organism in terms of responding to opportunities. We’re not trying to take away anybody’s thunder; we’re looking for opportunities to do what other people aren’t doing, or what other people aren’t doing well. 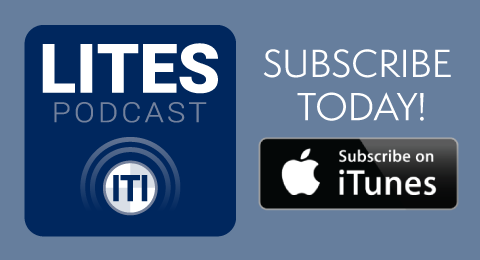 MANDY HENRY: Welcome to the LITES Podcast, it’s Leadership in Industrial Technology, Education, and Safety where we interview thought-leaders in construction and heavy industries during this exciting time of rapid innovation. 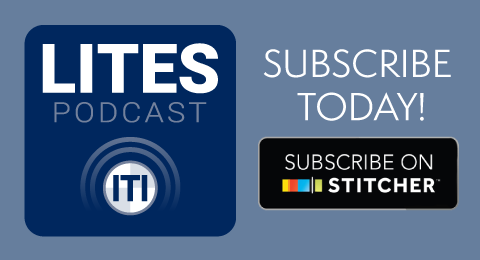 I’m Mandy Henry, Communities Manager at ITI and in this episode, ITI President Zack Parnell spoke with Rich DiClaudio, CEO of the Energy Innovation Center, Charlie Shliebs, Managing Director of Stone Pier, and Jim Dorris, Vice President of Environmental Health and Safety at United Rentals to discuss how they are all working together on how to improve workforce development and how other companies in this industry should be moving forward. ZACK PARNELL: For starters, Rich, would you mind start by saying your name and just tell us a little yourself, that'd be a good way to start with each gentleman on the phone. DICLAUDIO: Sure Zack. Thank you for inviting me to be a part of this podcast. I appreciate it. Currently, I'm President/CEO and founding board member of a not-for-profit in Pittsburgh called the Energy Innovation Center Institute. The institute is rather large for a fairly recent not-for-profit that's been funded with almost $100M to date. It's a nearly 7-acre campus with about a 200,000+ square foot building that's a living lab for building resiliency and innovation around energy building in grid technologies. Part of our mission here is to help transform how humans interact with energy and technology. Kind of a tagline for that is helping people become resilient for the workforce, helping create resilient buildings, resilient and smart cities, and resilient and smart grids. Obviously, we'll be talking about the workforce development component of the Energy Innovation Center Institute throughout this podcast, but we also pursue think tank activities as well as professional education for executives, incumbent worker education, and more recently some commercialization of related technologies that we're helping kind of grow to the next size in their company's life cycle. PARNELL: Excellent. Thank you for sharing. There's so much we can just dive into right there. So, before we do, Charlie, would you mind stating your name and sharing with us a little bit about you? SHLIEBS: Sure. Charlie Shliebs. I'm Managing Director of Stone Pier Capital Advisors here in Pittsburgh. Stone Pier is a boutique merger and acquisition oriented investment bank. Working more in the energy industry than in any other and I have the pleasure and honor of being a founding board member of the Energy Innovation Center Institute. The distinction of having recruited Rich DiClaudio to join that original board was a great thing when sometime later, we were able to make Rich President and CEO. So, Rich is already has already described the Energy Innovation Center as well as anyone could, so I won't talk too much more about that except when we go on, I'll add some color here and there as, perhaps, as Rich describes some of the programs. PARNELL: Excellent. Thank you. Mr. Dorris, would you like to go next? Do mind stating your name and saying little bit about yourself? DORRIS: Absolutely. Jim Doris, I’m the Vice President of Health, Safety, Environment and Sustainability for United Rentals. We're the world's largest rental house and operate roughly a thousand locations in the US and Canada and deploy a variety of fleet across those branches. We also have responsibility for our training line of business, United Academy, and that's what led me to the other two fine gentlemen on the phone and we've been able to work together through partnerships to promote high quality training for skill workers. PARNELL: Excellent. Rich, could you take us back into the Energy Innovation Center and we'd love to hear about how the EIC started, and then additionally the partnership with United Rentals. DILAUDIO: This is one of those great examples of government industry and not-for-profit/foundations working together collaboratively to produce something greater than each of them individually might've been able to do. Charlie was around earlier than I, but I'm pretty familiar with the very early genesis of this ecosystem. It started in Congressman Doyle's office here in Pittsburgh maybe 6 or 7 years ago when he recognized that there is quite a bit of energy and building and related IOT/cyber security technologies being developed regionally, particularly 2 large research universities here: Carnegie Mellon and University of Pittsburgh, as well as developing Marcellus and UTICA Shell industries. Any of that technology that ended up really kind of sticking ended up having to leave the region to find both capital and skilled workforce to grow and succeed. So, he was looking for a group of people to pull together a landing place regionally for technologies that got developed locally to stay locally. A fellow named Bob Meeder was at that meeting. He is the President and Founder of a company called Pittsburgh Gateways. He and his small team had been around for 30 years doing economic development in university tech transfer, from Pittsburgh also in a not-for-profit. He was able to take that vision, that first meeting and Congressman Doyle's office, and make it into what is the Energy Innovation Center today. He bet his company's balance sheet on creating it. Really, it's in many ways, the innovation of his and his board, including the institute's Founding Board, like people like Charlie, and certainly the great influence of our several corporate partners. One of the closest and most influential being folks at United Rentals is Jim Dorris, who's been an incredible friend to this organization. It started out kind of like sleep, slow at first and then all at once. Money was raised, buildings were bought, and ideas were developed. I think it's Peter Drucker that said, “The science and innovation is the science of abandonment and pursuing opportunities out of chaos.” That's basically what happened here. Where we are today, where we're pointing today, is not exactly what was envisioned in that first meeting, but it certainly covers a lot of those original intents. Charlie might have something to add to that. SHLIEBS: No, I think you gave a great summary, but you can't stress enough how this has been kind of a living organism in terms of responding to opportunities. Opportunities driven to the Energy Innovation Center by the community, opportunities driven by corporate partners with a philosophy of not trying to duplicate what's already being done out there in areas that we can service, we're not trying to take away anybody's thunder. We're looking for opportunities to do what other people aren’t doing or what other people aren't doing well. PARNELL: Excellent. I love the comment of the Drucker quote. I mean, it's very similar to Apple having killed the iPod to create the iPhone. I guess the interesting caveat to that, or follow up would just be what is the EIC really working on now? When you talk about human interaction with energy or technology, what are you all working on, if you can share? DICLAUDIO: Sure. There's quite a bit going on in the ecosystem. That includes the building itself, the campus and building that really reaches far beyond. For example, the board approved the idea about a year ago and we'd been working pretty hard, it’s one of our tactics to achieve our mission on something called EICI Enterprise. In that we have minority equity interest in half a dozen portfolio companies all kind of related to this resiliency topic particularly around energy building and commercial IOT/cyber security topics. Some of those technologies are kind of best available energy management systems, both from a hardware and software perspective, particularly as it relates to cyber security. Some of them relate to smart cities, technologies, others are related to helping buildings manage their ultimate purpose more efficiently and hopefully more economically. Some of the technology is being developed by our partners inside the building are related to smart grids, particularly around the integration of both direct and alternating currents as well as battery technologies. We kind of take a very broad look at energy. It definitely has a capital ENR definition. So, we focus significantly not only on the traditional fossil fuel portion of energy, trying to find ways to make it more effective, more efficient, cleaner, and quite frankly more valuable, but also kind of all the other areas as well. Anything that could help provide sustainability, but always through the lens of: Does this make sense economically? Is there a reasonable risk return metric that comes out of a new idea or new technology? My background is in private equity, nearly 35 years now. The last 15 before I formally joined as part of the leadership here, running my own energy focus and technology focused private equity fund. So, everything we do is kind of looking through the lens of, “Okay, this makes sense but can it make money?” A lot of our activities here with the technologies I mentioned as well as many others, we try to drive activities that can quickly answer that question. Yes, it can, then what are the next moves? Or no, it can't, sell it, and move it along. Does that seem to answer your question? PARNELL: I'll be out there in June. I haven't been there yet and I am excited to just take it all in because it sounds like there's quite a hub of a lot of organizations. You have tenants including Penn state, Pittsburgh Gateways, and you already mentioned University of Pittsburgh and some other startups it looks like. Would you classify the EIC has an incubator or is it more so a different model? DICLAUDIO: You know, it certainly has certain elements of an incubator. We have for-profit companies, tech startups, not-for-profit companies, and universities. Quite a bit of training, quite a bit of events - all kind of mission aligned. I think last year we hosted nearly 14,000 people from around the country and world, including, I want to say we were almost 42 of the top 100 resilient cities in the world. We hosted mayors and city leaders often multiple times. Just so you know, Pittsburgh itself is like many cities in the United States and around the world that have been developing kind of innovation districts of which the Energy Innovation Center kind of is in geographically the center and certainly is one of the hubs. But in no way, are we the only organization in our innovation district. We include the universities, and quite a bit of technology around the University of Pittsburgh Medical School. At UPMC, which is a top 10 healthcare system that's quite a bit of investing in technologies around healthcare and health delivery. There's also a significant investment, I think over $10B between Uber, Ford and BMW within a mile or two of where we're sitting on autonomous driving vehicles, predominately cars, but also trucks, as well as dozens of other technologies really focused around robotics, additive manufacturing, nano and biotechnologies, energy technologies, and building and IOT technologies. Particularly with a heavy cyber security component to them. So, a lot of things happening in a 10-square-mile area, Charlie? SHLIEBS: Yes, absolutely. It's really a level of excitement that I never thought until a few years ago I’d see in Pittsburgh. It's really tremendous. PARNELL: That's excellent. It certainly seems like the EIC was built with an awesome vision. 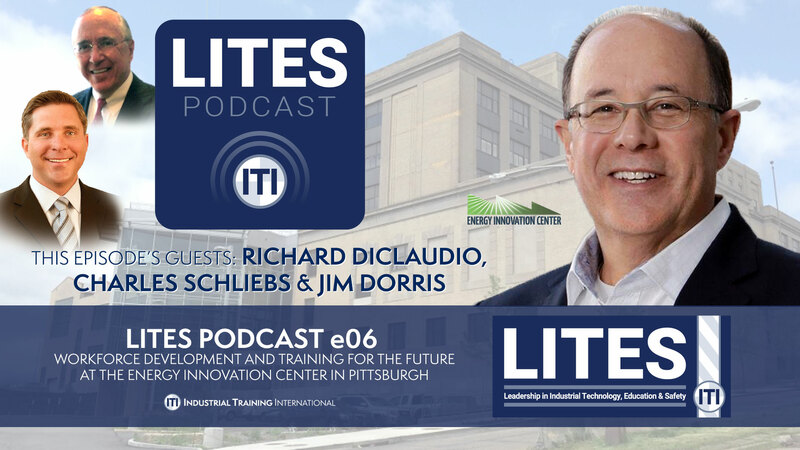 Jim Dorris, if you could share your perspective having been a partner of the EIC, how is it making an impact or bringing certain technologies forward and how is United Rentals currently working with the EIC? DORRIS: Yeah, great question Zack, and I think these guys are being a little modest. The level of innovation and ideas that are coming out of Pittsburgh are remarkable and in my humble opinion, second to maybe 1 or 2 other cities here in the US and I think we all probably have a good idea of where that may be, but just a tremendous opportunity and collection of talent, ideas and innovation there in Pittsburgh. For us at United Rentals, a lot of that gets concentrated in that relationship with the Energy Innovation enter because of their extended network and partnerships. So, it's a great avenue for us to have. the largest impact is through that relationship. It disseminates out from there with many of the relationships that the Energy Innovation Center has. In terms of the work that we've done, a lot of it has been centered in and around the development of products, innovative cranium products, for skill based workers because that's, in my opinion, one of the focuses of the Energy Innovation Center. 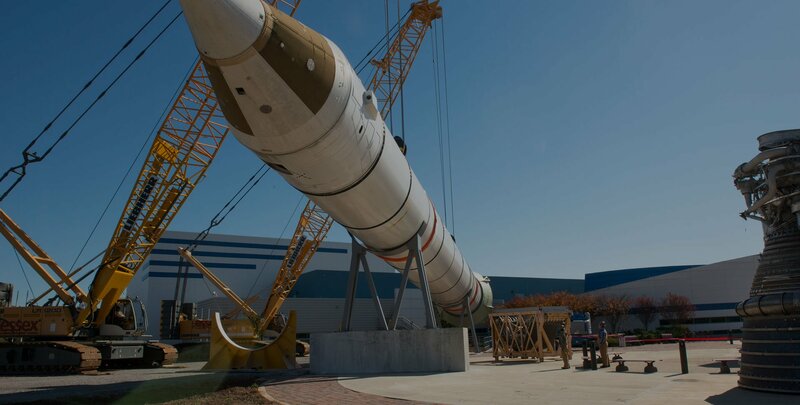 Also, with the platform, they've just been a fantastic partner with helping us prove out of this platform and really double down and invest and bet on skilled craft labor here in the US. DICLAUDIO: Can I add to that Zack? Because I want to say we're a little over 180 formal relationships now with government agencies, foundations, and predominantly corporations, including some of the largest in the world that are kind of mission aligned. But I would say that really none are more important and none of added any more values. Certainly a few maybe equal value, but certainly none more important than the relationship we have with United Rentals. In particular, with Jim Dorris who's just really been an incredible visionary and someone who has been so helpful to us, hopefully in a way that's mutually beneficial, but sometimes I think it was really just to help us because he believed in our mission. We've gotten a chance through Jim to know quite a bit of leadership at United Rentals. What I can say about an organization like that, which I think the average person probably might not think of the country's largest and maybe the world's largest equipment rental company as being particularly innovative. But I think they might be one of, if not the most innovative company and certainly of their size that I've ever seen. I mean, they're just constantly looking for new ways to redefine your market. To be in advance of what the people they're competing with are doing and to serve their customers in ways that not only create value for them, but also create value for the shareholders and stakeholders. So, we are just delighted with the relationship and quite frankly, it's one of the most fruitful we have. PARNELL: Excellent. Thanks for sharing guys. I really impressed, I think with the partnership and very impressed with how the EIC really came together. I'm reading up on your website, the about page, with the mission to align workforce development and education, develop and demonstrate technology, and incubate businesses. Like Charlie mentioned earlier, related to the sustainable energy markets. I'd love to maybe jump out of the EIC a bit and chat a little bit more about how you all look at problems to be solved, especially in the energy space. Do you have a framework for structuring the energy problems that we need solved? DICLAUDIO: It’s kind of interesting, I've been involved in the private capital activities of the energy and energy related energy technologies for 35 years. Certainly 35 years ago I was pretty young guy, not long out of college and at a pretty low level, but through a couple of opportunities over the arc of my career, I had had the chance to really learn private capital from the bottom up from one of the founders of that concept or that economic investment model. So, over the arc of those 30+ years, I have really had a chance to understand the energy industry both at a macro and micro level. When you think of it at a macro level, we understand that energy, in terms of an industry, is certainly foundational to the developed world. Quite frankly, it separates the developed and the undeveloped economies and that cheap and reliable energy is what is the one thing that all developed economies have. So, when you look at that and you look at the innovation that came of the industry, and that came predominantly in United States, the only place in the world we're private ownership of minerals is permitted and therefore were a lot of the innovation around finding, producing, and consuming in ever increasing efficiencies. Both hydrocarbons, fossil fuels of any type as well as some of the more sustainable, greener energy, technologies that are starting to take hold in the economy really have their roots in the need to drive in an ever more rapidly produce a developing and growing a regional and national and global economy. When you look at the industry as a whole, you should see certain areas where there are problems and where there are likely to be new problems. Certainly, areas where there are great inefficiencies, where if they can be solved, people can make money solving the problems and we can certainly extend the reach of our current fuel sources as we move over time to different fuel sources. They've really kind of come in a couple different areas, but a lot of them have to do with finding and producing hydrocarbons as well as sustainable fuels, transporting them and then consuming them. There are a couple areas where would that leads. We all know that the line loss or the power loss is almost 70 percent in some instances even more than 70 percent between the spot where power is manufactured or it's often consumed. We know that once it steps down and comes into a building, a large commercial building or some sort of a plant or industry, additional losses often significant, 30 or 40 percent can occur. We know that there was a lot of loss by having equipment stay on overnight when it shouldn't. We know there's a lot of loss by having equipment run inefficiently and that only consumes energy, but that also shortens the lives of equipment and it also can lead to one of the largest causes of industrial and commercial property destruction or fires. We tend to focus on areas where the problems are the largest and where the solutions could be the most dramatic. It doesn't mean we ignore some of the other areas because we are opportunistic, but I would say in general we're looking at, globally or from an ecosystem, we're looking at trying to develop battery technology and we do a lot of work here with rapid prototyping of utility and vehicle stalled battery. Honestly, I don't believe that's a long-term solution. I don't believe there are minerals that exist in sufficient quantity anywhere to allow that to be a global, large scale long-term solution. I also know that where they do exist, they tend to be in countries unfriendly to the United States. So, we're spending time to EICI enterprises looking to develop technologies around mechanical batteries. I've been involved in that for 30 years. It's a little bit of a holy grail, but if it can be resolved, it actually can solve a lot of problems, particularly as the global economies over the next generation or to start relying less and less on fossil fuels. In the meantime, we are burning fossil fuels. That's how we power ourselves. That's how we make things in this country and around the world. So, we're looking for ways to be more effective and efficient at that, to extend the reach and the time that our current fossil fuel supplies and reserves last. So, we're looking and working with the University of Pittsburgh Swanson School to develop new technologies particularly related to direct current so that power can be produced more closely to where it's consumed, thereby greatly reducing line loss. We're also looking at technologies, and this is an area where Jim has been extremely helpful over the last few years, making great introductions and providing great insights to technologies and allow buildings themselves to be more effective and more efficient. That includes integrated management, multiple heating and cooling systems that have been installed in older buildings every 10 years or so that creative kind of mishmash of mechanical systems that don't talk very efficiently or effectively to each other. We've actually worked very hard to try to solve that problem, particularly for the 5.7M established commercial buildings in the United States over 100,000 square feet. The average age is over 50 years. The average mechanical systems as I mentioned are maybe 8, 10, maybe 12 years, tops are always over engineered, are always sold in bundles and are always sold in ways that they communicate with the old systems. Warranties are avoided. So, you had these huge inefficiencies where a lot of energy is getting consumed and where the purposes of the building itself, particularly an adaptive reuse of an old building, end up not getting effectively met. We work with universities and technology companies to try to solve these problems. Sorry, I went on a bit there, but you can tell I'm pretty enthusiastic about this. PARNELL: Oh my gosh. No, I absolutely would love to hear you for another two hours on the subject. You’ve get a lot there. Charlie, is there anything you'd like to add? SHLIEBS: Well, I guess I want to talk about one thing that makes sure it gets in as part of the podcast. That is one of our flagship programs. I mean we have so many different programs you're getting a taste of from Rich’s tremendous description, and there's so many that are so valuable and could be described individually and be a podcast of their own. But one that deserves special attention, that has kind of a slightly misleading name, called Introduction to Construction Trades. Basically, it's a pre-apprenticeship program. It's not an apprenticeship program. It's a pre-apprenticeship program for the union construction trades. The Energy Innovation Center has built a relationship with the 18 craft unions in the region, in the area, to act as a feeder into their traditional union apprenticeship programs. Now those programs lead to, in fact right away, are good paying jobs and then lead to really much better paying jobs even, and you get all kinds of free training, etc. But historically, those programs have been very limited and considered unfriendly to folks who might be classified as minorities or women. I came from a family of all union people, construction trade union folks, mostly pipe fitters. I did a little piece of time as a pipe fitter myself, before getting a scholarship to the Wharton School at the University of Pennsylvania from the organization of the contractors, mechanical contractors who use pipe fitters. I had real day-to-day exposure to all of that. It was always amazing to me, even back then at how exclusionary the craft unions were. There were no minorities period. Almost anybody was a minority, unless you fit a very narrow description and there were no women. Then they also try to keep people out based on other factors. It was just amazing. I'll be honest, I did not think that would change in my lifetime, as recently as 6 or 7 years ago. I have been absolutely stunned at the success of the Energy Innovation Center’s program to take a disadvantaged young people as young as 18, not too many that young, up into the mid-30s and completely change their lives by taking them from minimum wage jobs to jobs that might pay into the $30s. Then, transform the situation such that they have incomes winding up all inclusive, $60, 70, 80,000 and more. Real family sustaining jobs. To go to the graduations of our classes and see the testimony from these folks, especially the former graduates who come back and talk about how their lives have been transformed and how they'd been accepted into the unions that we prepared them to go into. Frankly, it's hard not to cry when you see that. I guess any program that makes you cry, you got to be proud of. Right? So, it's really something that I wanted to make sure that we got into the program. PARNELL: Yeah. That's excellent. That's one of our subjects today is workforce development and labor shortages. We're very familiar. Our organization works with nearly every craft you're probably working with as well. From a training point of view, would you mind defining or describing a little bit more about the pre-apprenticeship program and the success you've had and sort of volumes or what is the goal? SHLIEBS: It covers so many different areas. A lot of these young folks didn't grow up in homes with a dad who could teach them all the tools, about measurements and this and that. Many of them just grew up in a house raised by a grandmother who didn't know those kinds of things and many don't have some of the social skills that are necessary as well. And they don't really know what these trades are when they hear about them. They say, “I would like a high paying job and I'm willing to work.” They have no idea. So, this program gives them all kinds of instruction from taking them out to actual construction sites and letting them work with union members and see what they do, to taking them to visit the various tremendous training centers at the unions have in this region. They have electricians, the carpenters, and the steam fitters. They all have incredible facilities. Then they have classes on how to prepare and be ready for the entrance exam that you have to take for these different programs. Then, how to deal with people, and when to show up. You're late if you're 15 minutes early. Okay? All kinds of different things like that, that all together prepare them for taking the next step forward and then monitoring them after graduation and keeping track of what's going on and what is helping them move forward and not just dropping them when the program is over. So, this kind of program is one that's really not being done by anybody else, that I'm aware of. There are lots of different programs, but this fits into what I was saying earlier about how we try to do things that nobody else is doing or that nobody is doing a particularly good job of and this fits into that nobody else is doing category. PARNELL: Sure. Thank you for sharing. That's huge. I was actually curious, I know this is one of my final questions, but I'd like to ask it now, if you had some advice, both of you, for others establishing a similar sort of organization in another city. What advice would you give them? And I asked because that sort of program and workforce development is really a local thing. In most in most cases when you're trying to recruit 16 to 20-year-olds to get into the skilled trades, it's definitely a local activity. It's hard to do that through the internet without having a training center close by. So, if I was to go try to set up an organization similar to the EIC in my hometown, what advice would you give me and what are the key ingredients? SHLIEBS: I'll say two things on that, then Rich can jump in and give your view on all this. We are fortunate to have two leaders in that program. One who is kind of the field general, what's going to be done with all these folks while they're being trained. And then we have a candidate, the den mother who is really a wonderful person, but strict in terms of vetting and making people tow the line and she's been able to vet the kids going into this program so that the dropout rate is incredibly low, almost nonexistent, which I thought would never happen. So that's one thing. The other thing too is it seems to get easier as time goes on because the graduates who then go and do well and who go back into their communities and we kind of choose people from what we've identified as seven disadvantaged areas of Pittsburgh. They go back into their communities and they tell people, “Look what's happened to me and here's what's going on, etc.” So, a lot of people come out of the woodwork that might've been hard to find to make that recruiting embedding a little easier. Rich? DICLAUDIO: I'd say very, very well said. Yeah, both Ron and Chiquita are certainly important ingredients in the formula that seems to be working pretty well here. I want to start out by tying our dear friend Jim in because he threw out a phrase rather randomly a year or so ago, that barely a day, certainly a week doesn't go by that I don't use often when I'm meeting with mayors of large cities or leadership of federal governments, Germany, Spain, France, Canada and India. I always try to give him credit for it too. The phrase is, “Good workforce development and sustainable workforce development is really the art of connecting stranded talent with the opportunity.” That was Jim Dorris’ saying. I want to make sure I give him credit to. Thank you, Jim. So, look. For me, we kind of went from nowhere a few years ago. Our first year of any kind of workforce development effort was in 2014 and it took us a couple of years to figure it out, and we still have a long way to go to kind of optimize it. As Charlie said, a lot of this has to do with the team you have and the passion they have around it, but there are also some other kind of metrics, in my opinion, for it to work anywhere. Things have to be in place or you have to find ways to get them in place if they're not there. You say it's a local problem, but it's really kind of a universal issue. I think for any kind of workforce development activity to be sustainable and resilient, it first has to start with the companies that have the need. It’s okay if it starts with industries, sometimes that's even better, but often the industries look at the other companies in our industry that take a leadership role. What we find are the most optimizing and successful workforce development programs are the ones that are corporations, and as Charlie points out as well, the unions, because for most of the traffic you craft unions as you know, in the trades, you find your jobs through the union halls - not directly applying to companies, so I would add unions to that as well. I think if a large global company somehow had some event that happened overnight where all of its buildings and even its networks and visual assistance got destroyed, the best that those companies could quickly rebuild me back up and running, but if they lost somehow all their workforce overnight, it would be the end for that company. In fact, that happened in an industry, it would have been the end for the industry. At the end of the day, most companies, most valuable assets go home at night. I think it's important that the industries and companies invest in their own workforce and to do that, they optimize their own chances of success and resiliency. So, a couple of areas where they need to focus were they are going that there has to be training in competency and I think that training has to be both preemployment and OJT. The reality is most secondary schools, and quite frankly, most colleges, baccalaureate and certainly associate issuing organizations, tend to produce men and women that aren't ready to go into the workforce as maybe they should be. I think a lot of accredited technical schools have a better track record at this, but they fall far short of meeting the needs in the workforce. That competency training always has included efforts in math and technical and professional skills and safety skills. There has to be, for them to be most productive, there has to be some training and healthy eating and lifestyles, financial literacy and personal and career development, interviewing, resume building, even social media expertise and understanding of rapid movement of the global economy and how that's impacting jobs. Really good jobs today that won't be in existence in 5 or 10 years and really good jobs in 10 years that don't exist today. How can someone take agency over their career? I don't mean agency in a way Marxist means, I mean it in a way that an individual has to take ownership of their own career path. They can't look to accompany or government to employ them over the arc of their life. They have to have to understand that they're responsible for it. I think for workforce, company, or industry relationships to be most optimal, we have to be thinking more and more work life flexibility. The reality is this 9 – 5 standard approach, which we understand in manufacturing or construction environments has to be pretty much locked in. But even in those industries, there could be some flexibility in the work life approach. Certainly there's a lot more available if you're doing any kind of digital or technical assembly. But you know, when we build things and that's what this nation does, certainly what Pittsburgh does, we build things and we make energy to build things, you have to do it on a timeline. Public companies have quarterly earnings they have to have to acknowledge. There's this interesting nexus that’s happening now. We're finding that some of the most successful and likely to be most resilient companies are finding a way, in the context of the industries that are operating in today and expect to in the future, to balance that work life flexibility. This something that we do, we work with the men and women that are going to be employees and these workforces and we recognize that even if they work for a company that is somewhat flexible in understanding the competing tensions between their needs and the family needs of the employee, that the employee has to understand that ultimately, they get paid by the employer and they got to do what's needed. So, there's really interesting things in science creating around there. I think as a nation we need to figure that out. We really think that the problems can be solved one at a time just by leaning into it every day and solving the problem in front of you. And then the next day, the next problem. So, we do focus on these populations that tend to be overlooked. I recognize a lot of the men and women in poor living conditions or with what I'll call nontraditional education or even the older populations for that matter, they come with conditions that could make them suboptimal in the eyes of many employers and companies. But I think with the right recruiting and vetting, and right training, they can be very productive members of the workforce and they can also start shifting the overall welfare of a region. The mayor of Pittsburgh, who we work very closely with has a saying that quite frankly I wish I'd invented. It’s one we use all the time here. The saying is, “For Pittsburgh, if it's not for all of us, it's not for us.” That's sort of a foundational motivator behind a lot of our workforce development. One thing we know is highly lean workforces and staff just aren't sustainable in the long run. It can really lead to poor physical and mental health of their workforces. We also know that over time you can do significant damage to a company's value and reputation. When you have an overworked, very highly lean, workforce, it just leads to mistakes and errors. For a company or an industry to kind of focus on developing the right quantity and quality of talent is critical for it to survive. We have moved into the fourth industrial revolution. We are in fact in it, and you can argue that it started this year or it started a decade ago, but we're in it now. We know that a software can last. I know this for a fact because I was on Silicon Valley not that long ago, and just spent a few days talking to some of the people, and their software has a shelf life of between 6 and 25 weeks. Hardware has a shelf life of 18 months and tech companies have shelf life of 4 years. We know that more and more as this technology infuses into the everyday life of the average person. What it means is that participation in workforce is going to shift radically and quickly as well. So, we're working really hard to try to connect the men and women who are often overlooked during these transitions that occur in a revolution. Certainly, we're in one now - the 4th industrial revolution to participate upfront. How do they do that? How do they have a sense of ownership, commitment and engagement? Not just in the short term, but over the arc of the individual's careers? How do they understand that we're moving more and more towards a large gig style economy and they can participate and take ownership of their careers? There are a couple of important concepts. One is that data is labor and the other one is surveillance. As Charlie said, both of those could be podcast by themselves, but we're working very closely with the people that have come up with these concepts. It's particularly poignant now with this stuff that's happening with Facebook and Google and the challenges around who owns what data and what algorithms are driving what we see. When you add to that, what the EU is doing under the general data protection regulations that go into effect in May, we know that people are going to start owning their data and their data can start becoming part of their career. Workforce has to be focused on that. Data is labor and surveillance are particularly important in blockchain is going to, I believe, the digital ledgers with very strong encryption, are going to end up revolutionizing commerce and how people work and how people get paid. So, I think any new workforce development has to be focused on what needs to be done today, that gap between the needs of the employer and the needs of the talent pool, but also has to be looking at how they can train the men and women that they have an opportunity to spend time with to be nimble and continual learners and to understand that they have to own and have agency over their careers so that they can continue to be productive members of the workforce as long as possible. PARNELL: Thank you Rich, very much. SHLIEBS: Rich really knows that stuff so well. I work with you all the time and I’m still impressed. I’d just like to throw in that all this stuff that Rich started talking about: the industry four point, the digital transformation, industrial internet of things has just been rushing into what I'm seeing in doing at Stone Pier both from a business perspective and in my outside activities and charitable activities. It's just overwhelming. We're working with the people who run the new $6B Shell petrochemical facility, and the person who heads that whole thing up is a woman named Hillary Mercer. I asked Hillary, “What's your number one priority that you're focused on in being responsible for this huge $6M project?” She said exactly what we were just talking about; the industrial internet of things, digital transformation industry 4.0. That is her number one focus area. We're seeing that not just in the downstream side, but in midstream, which I never really would have focused on frankly from my old school type of approach to things that all those same concepts are every bit as important in midstream and upstream. So, that's just on the gas side and not even getting to other types of energy. PARNELL: Charlie, I think you said it correctly in the start of this, that there's probably content here for 4 or 5 podcast episodes. So, I thank you guys very much. DICLAUDIO: Can I just add one more thing? 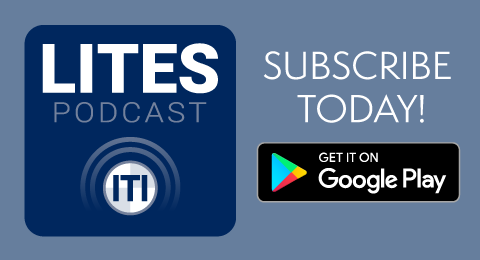 So, how information is translated to the men and women we try to serve and connect with the job opportunities and companies that need them, is a series of podcasts on their own. I have to say what I don't know about that is a lot, but what I do know comes almost directly from the efforts of Jim Dorris, who I think probably one of the top 2 or 3, certainly one of the top 10 in the world thinkers on how to drive blended learning, so that you can deal with a really diverse workforce, right? With language issues and reading issues and cultural issues and comfort with technology issues and the stuff he's doing with their thousand training and distribution facilities located throughout North America are really driving best practices in that area. One of the incredible values that United Rentals shares with us, I think because they believe so much in the mission, is that a couple times a year Jim and his team are circling the world, looking for the best, most effective types of learning technologies, they may bring it here. Often, they bring the people that volunteer and then we spent a couple of days cross pollinating and so I have to say, the degree that were effective in doing this, it's really because of the incredible support that we get from Jim and the guys at United Rentals. SHLIEBS: I've got to say, Zack, I'm certainly humbled by this, but I just wanted to add in my piece to your question about what it takes and I can tell you what these 2 gentlemen left off is a level of passion and talent and just an overall sense of caring that these guys have to make improvements in their communities and outside of their communities is through the roof. Charlie mentioned that seeing some of the success and I've seen it and he's right. It will bring tears to your eyes. But, having the opportunity to work with guys like this and just the level of passion and humanity that they have towards people and making a better future is just through the roof. It humbles me every day and I sit here listening to both of them, once again, set back and humbled. So thank you for putting the podcast together. Really appreciate it. PARNELL: We covered a lot of subjects and we'll hope to have you on the show again. So Rich, Charlie, Jim, thank you very much. HENRY: Thanks for tuning into LITES. It's leadership and industrial technology education and safety. See more at LITES.org. If you enjoyed the show, please remember to rate, review and subscribe. 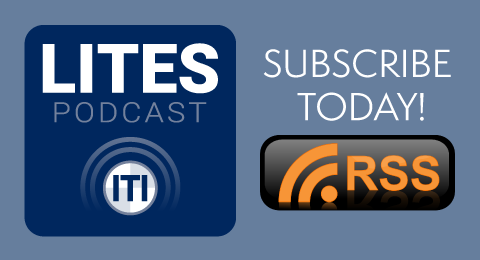 LITES is a production of Industrial Training International. Our guests today were Rich DiClaudio with the Energy Innovation Center, Charlie Shliebs with Stone Pier, and Jim Dorris with United Rentals. Our producer is Michael Montaine. I’m your host Mandy Henry, and we’ll see you next time.